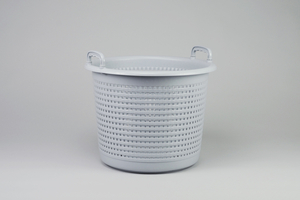 Durable plastic fishing basket. Perfect for separation of catch or for storage of rope. Can hold 44L.